We have extended our sport activities offer by constructing two sportsgrounds with polyurethane surface. The sportsgrounds are situated right behind the hotel. The further sportsground is constructed as a medium-fast, full-value tennis court. It is fenced by 3.5 metres high plastic net. The other sportsground is partly fenced and it is lined for football tennis and volleyball. There are two small portable goals available for five-a-side football. 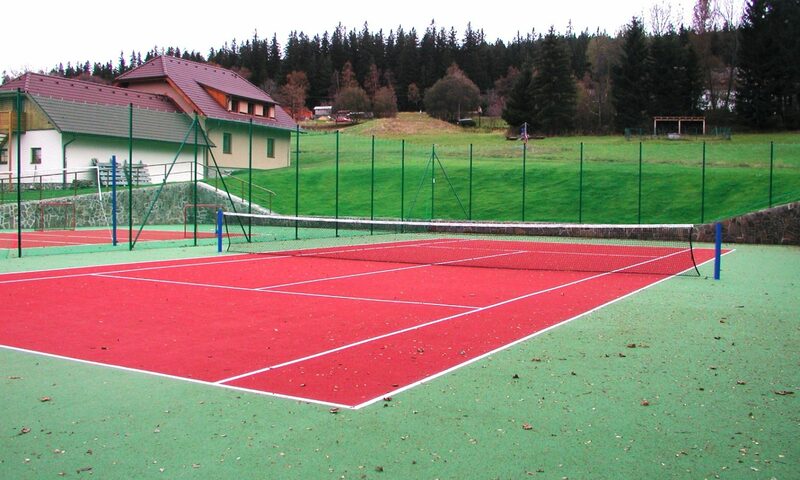 Sportsgrounds usage is free of charge for the hotel guests and it is possible to borrow footballs, tennis rackets and tennis balls at the reception.